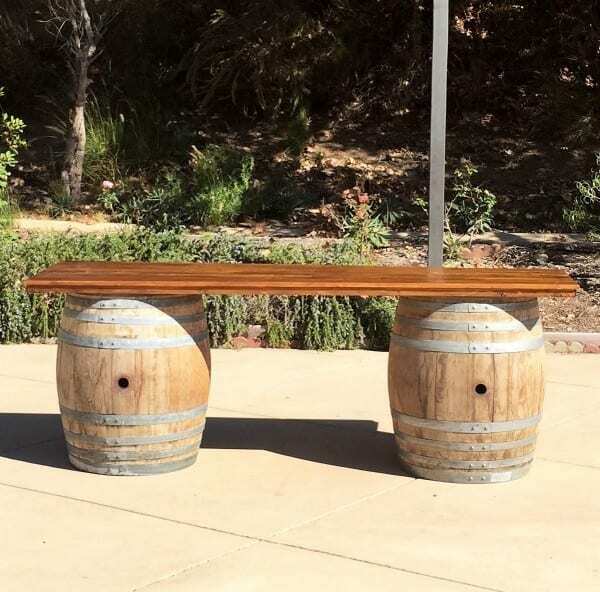 Wine Barrel Bar consists of 2 French-made wine barrels with a beautiful oak finish bar top. 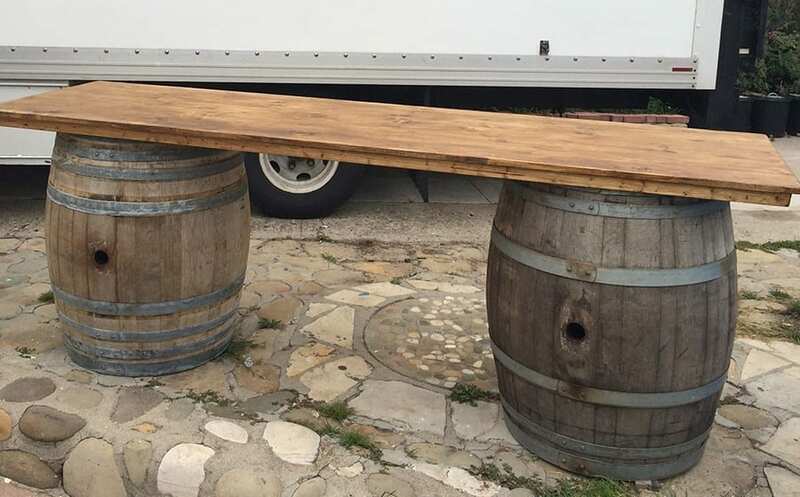 This is a great solution to having a bar on a tight budget. The bar looks hip and stylish while being highly functional. Simple in design this bar is easy to set up and easy to store. Whether your event has bartending service or not, this bar is easily accessible from all sides. For an intimate gathering you can put out your wine and glasses and the bar can function as a stand-alone, self-serve style bar. 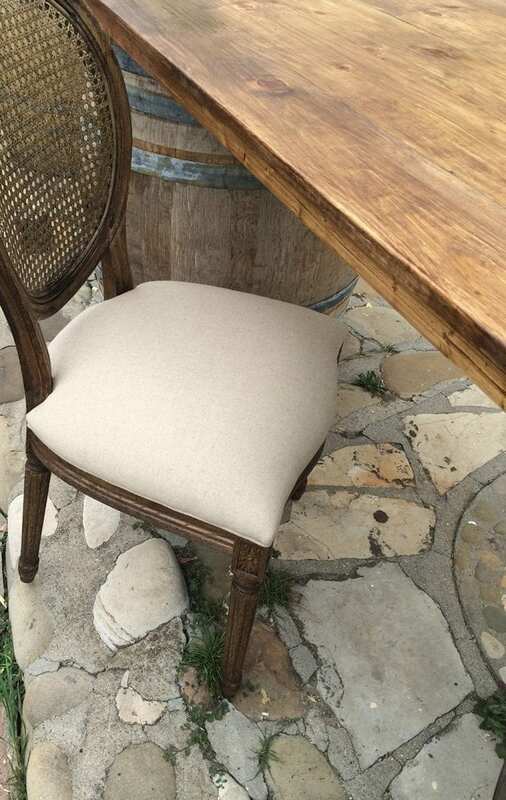 This rental is affordable and matches the California vineyard style. 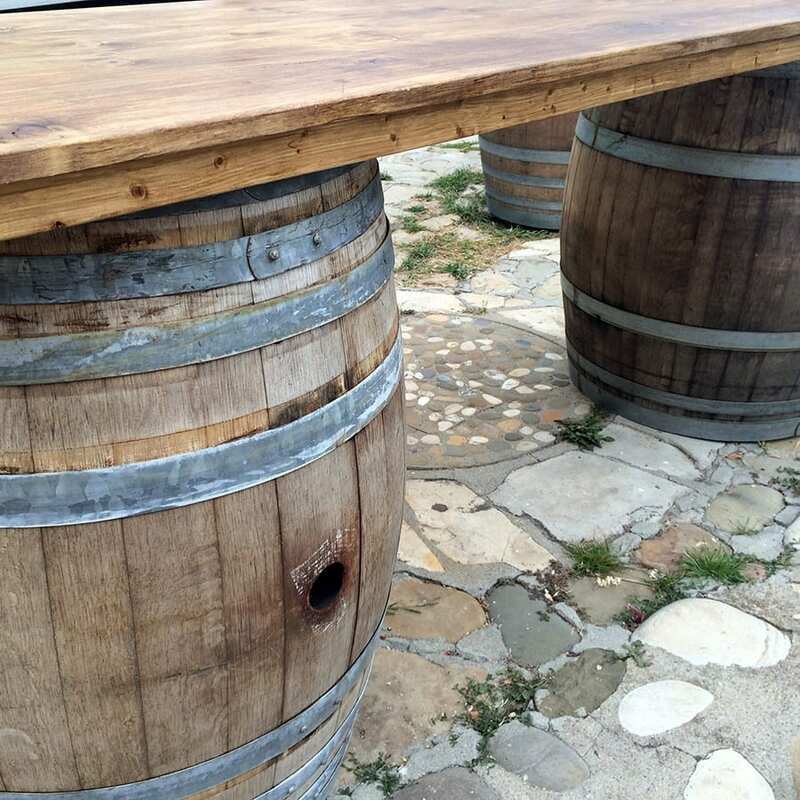 We also rent wine barrels as props for your vineyard or country themed event. Wine barrels bars make a great addition to your event, also try our Martini Glasses or the standard Wine Glasses to get the bar ready. *Barrel colors vary as is natural for used wine barrels.